Since I do my Three on Thursday posts every week (haven't missed one yet this year! 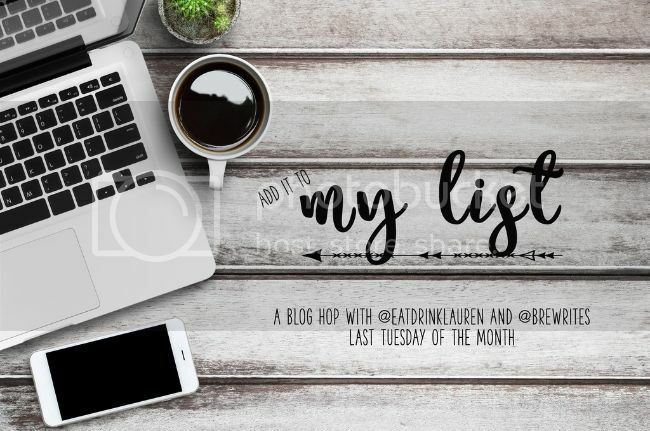 ), I try to make my 'add it to my list' posts a little bit different and more specific than just my general favorite things lately. For this month, I wanted to share my answer to a question I get asked a lot as a Chicago blogger - where should I eat when I come to Chicago? The honest answer is that you can't go wrong. Really. There are a ton of places to choose from and as a city, we know food. We like food. You need to make good food to survive here as a business. So just wander in any direction around your hotel and you're bound to find something you love. But, of course, I do have some specific recommendations for you. The places I love to eat at that haven't been recommended to you 27 times over - you already know to eat at Girl and the Goat or to get deep dish pizza. I wanted to think a bit outside that box, and even outside of the traditional downtown limits. Perez. It's just a really good place for traditional Mexican food, and you can find it in the West Loop. Among on all the places popping up on Randolph street, this one is holding strong as an original and the prices are great. It's super small but you'll be able to get a table, I'm confident because I've even gone there on Cinco de Mayo. They have great drinks, which is always important. Santorini. Greektown is also in the West Loop, just slightly south of Perez. Now I'm just going to be honest about the Greek food - it's fantastic, but I'm convinced there's just one underground kitchen serving all the restaurants, because they totally all taste the same. That said, we always end up at Santorini. I like the inside, it's so much less touristy and crowded than the Greek Islands, even though it's right across the street. The food is really good, it's definitely my top pick for the saganaki (flaming cheese.) Artopolis, down the street, is definitely the best bakery so stop there too. Fannie's. This one is in Portage Park, which is on the north side of Chicago, close to our house so I'm partial to it. Also, the owner's name is Stephanie and she's a friend, but I'm not biased! Fannie's is the place to go for breakfast, you will not be disappointed. Although they started because of Stephanie's baking skills, every item on the breakfast menu is cooked to perfection. And before you leave, get yourself some kolaczkis. They're amazing. Udapi Palace. For the best, authentic Indian, you need to make your way to Devon Avenue. There's so many great restaurants to choose from, but we're partial to Udapi (would-a-pee) Palace because (a) it's southern Indian cuisine, which is where my dad was born and raised back in India, and (b) it's totally vegetarian cuisine. Get the masala dosai (ma-sah-la dough-sah) - it's like a thin rice crepe with mashed potatoes and onions in the middle. And it's the length of the table. If you ever need additional help deciphering an Indian food menu, I'm your girl. Francesca's. Like Devon Avenue for Indian, the place to go for Italian is definitely Taylor Street. So many fantastic places to choose from! I've always enjoyed Francesca's. The menu rotates based on seasonal availability and I haven't had anything I didn't like. It's a cozy little restaurant too, the atmosphere is really nice. Another great option on Taylor street is Pompei. It's Italian fast food at great prices and everything tastes fantastic, so if you're in a hurry, you can't go wrong here. I do like to give recommendations based on location though too, so if you're ever planning a trip here and would like some ideas tailored to where you're staying or what's near the sights your checking out, you can e-mail me anytime and I'll do my best to make a list for you. 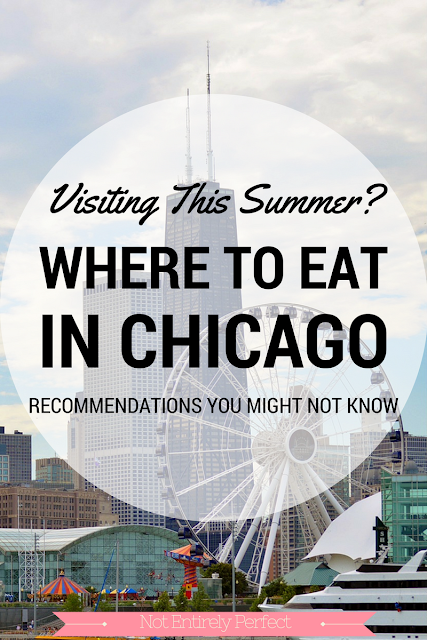 Are you visiting Chicago this summer? Do you already have any favorite restaurants to recommend? Let me know in the comments.